The collaborative authors in the Horse as Teacher series have done it again! The appeal of these stories from persistent, patient women who both teach and learn with the help of horses, is in their authentic voices. Listening to and allowing the expression of the healing gifts horses offer through relationship deepens awareness and develops consciousness. 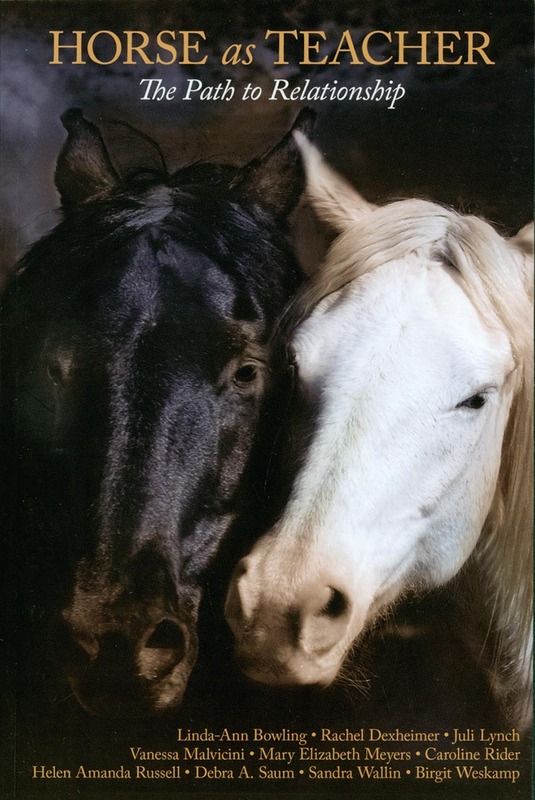 This collection of stories offers us the opportunity to step into that world and experience what horses can teach us about relationship. Be ready to see relationships in a while new way! If you are weary of the typical horse stories - a little adversity for the heroine - a mistreated horse being saved and/or nursed back to health - and the two of them ultimately galloping off into the sunset together... This is the book for you. If you've ever been on the verge of throwing in the towel because an "impossible" horse was ruining your life - and no matter what you did - you couldn't solve the problem - this is the book for you. Sometimes those "impossible" horses are the ones who have the most to teach us, and you can read how they changed the lives of the ten authors in the pages within.